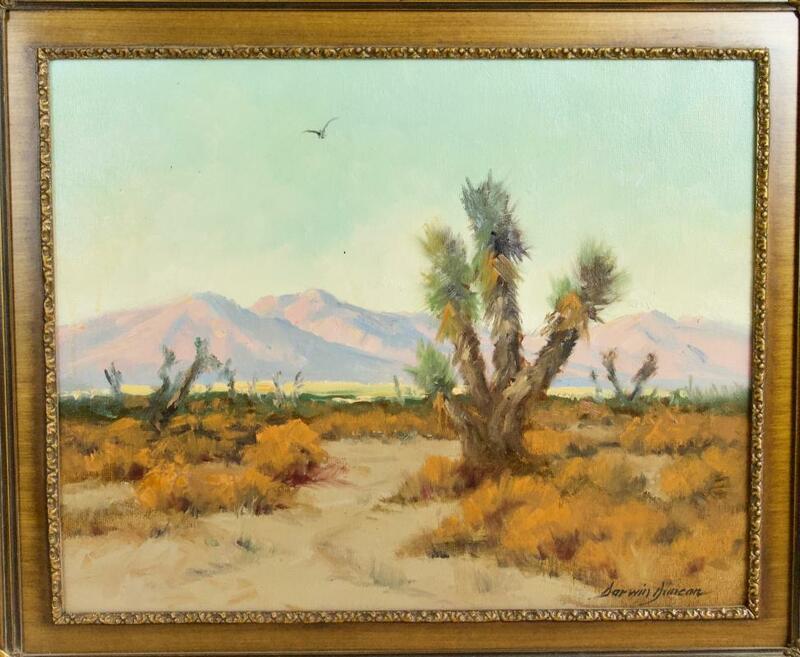 This Oil on Canvas is a beautiful Desert Landscape by California Artist, Darwin Duncan. 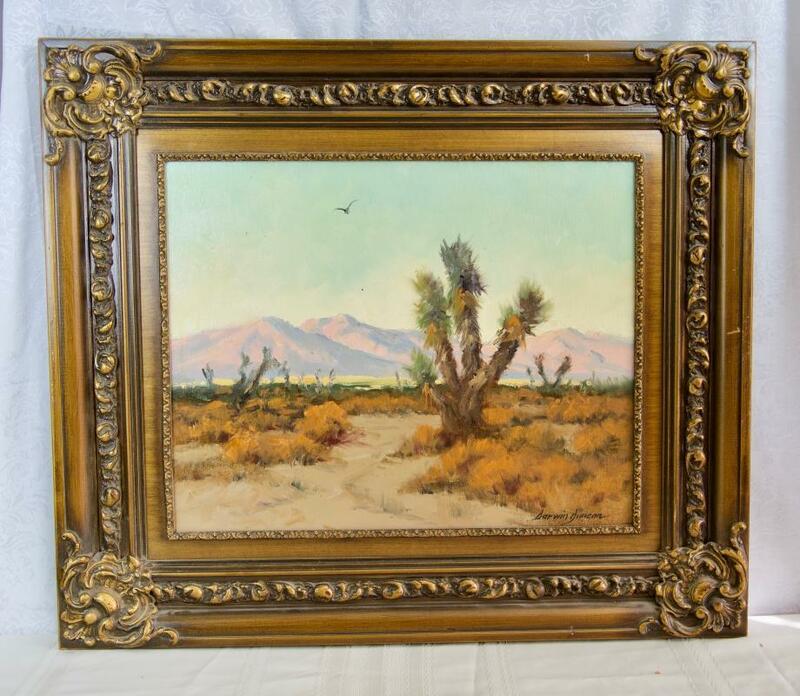 The painting is in good condition, but could probably use a cleaning to bring out the beautiful desert colors! 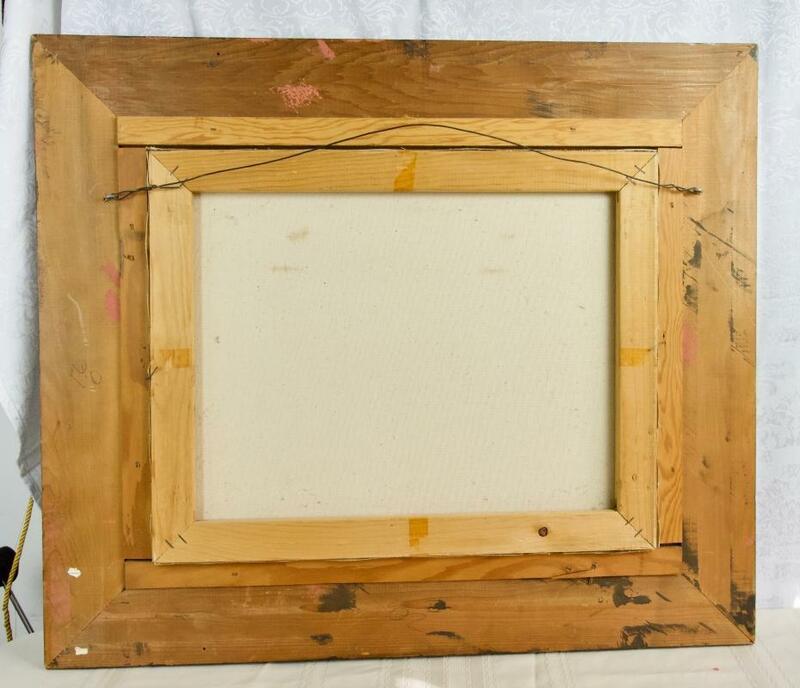 Frame - 28.5" by 25"
Art - 20" by 16"
DARWIN DUNCAN (1905-2002), California Plein Air Painter. Darwin Duncan was born in St James, Minnesota on July 28, 1905. He moved to California with his family as a child of five. He studied landscape painting with Edgar Payne and Sam Hyde Harris, and figure painting with Christian von Schneidau. For 32 years Duncan was a draftsman for the Richfield Oil Company. For 16 years he taught painting classes at Orange Coast College and lectured widely in the Southwest, Hawaii, Canada, and Mexico. A plein air painter, Darwin Duncan's work includes landscapes of Orange County, the High Sierra, and the desert near his home. 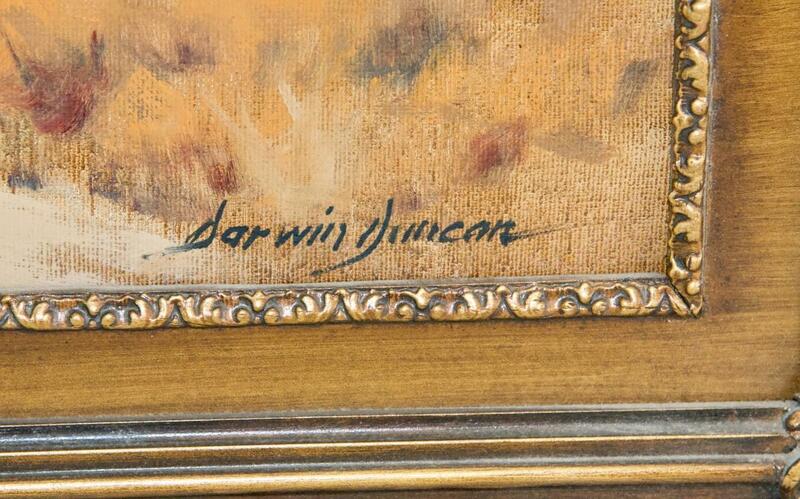 Items Similar To "BEAUTIFUL DARWIN DUNCAN OIL ON CANVAS"